A report entitled “Drones for Disaster Response and Relief Operations,” was released to the public at the Risk Insurance Management Society’s (RIMS) annual conference. It goes into detail about how UAS can be used to aid in the four stages of a disaster: prevention, preparation, response and recovery. The report was prepared by Measure and the American Red Cross, with support from a number of large companies. They include Zurich (who released the report), USAA, UPS, Willis, Boeing, Lockheed Martin, IBM, Guy Carpenter, and the states of New York, New Jersey, and Washington. The report is a comprehensive 52 pages and I encourage you to read it. There is also a good summary from Claims Journal. Claims Journal links to a story they did about a University of Delaware professor researching UAS in disaster recover. I wrote about the same professor, Arthur Trembanis, Associate Professor of Oceanography at the University of Delaware School of Marine Science and Policy (this is a News Round-up and the story with video is at the end of the post). The title pulls from the military use of C3 (command, control, and communications), but in this case I’m referring to Insurance, Investment, and Intelligence – the three necessary requirements for a successful drone company. I’ve mentioned the first two issues before (the third goes without saying, and I certainly saw a lot of brainpower at AUVSI! ), but a new report brought this to the fore again. I’ll also finish on a lighter note relating to the whale at the top of this article. Investment: I marvel at how young UAS entrepreneurs will flaunt FAA regulations and knowingly fly outside of the FAA’s dictates. Note that I do not recommend this, but am merely making an observation. At AUVSI, lawyers were a novelty that cost money while on the other hand people with money to invest were rock stars. I discussed my meeting with Westbury group and how people overheard him talking about investment and came up during our lunch (see my post here). Not only are traditional investment firms in play, but so is the new “Crowdsourcing,” such as that employed by CyPhy Works for their LVL1 (see my post here). An article discusses how more than $10,000,000 has been crowdsource invested in UAS! Investment in UAS has reached critical mass. Insurance: On to the next prong, I’ve written about UAS insurance in the past, and insurance heavyweight Marsh has issued a new report entitled “Dawning of the Drones The Evolving Risk of Unmanned Aerial Systems.” The report summarizes much of what I had said before – with some nice graphics added in too. They see an economic benefit from UAS integration of over $13 billion in the first three years and over $80 billion by 2025. I don’t doubt it, and I’m sure they want a piece of the action through insuring drones. And while UAS companies have been willing to flaunt the FAA, which they see as an entity making lofty proclamations but lacking enforcement capability, they want to protect their investment. My wife, who has been working with UAS operators, is finding it easier to place insurance as the underwriters see the profitability of the market and have become educated on the actual risks associated with UAS operations. Gray Whales: I will finish on a lighter note, highlighting a positive use of UAS, although the US Government is concerned neither with investment nor insurance. 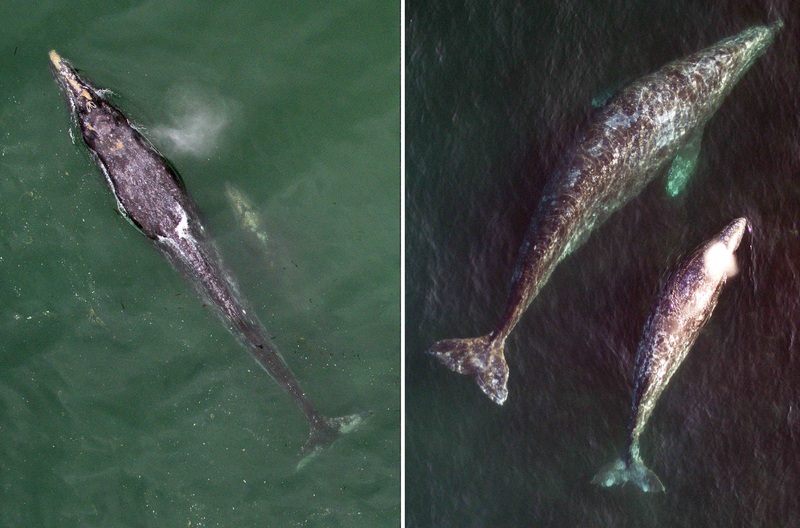 We do that first through taxes and the latter is generally taken care of through “self insurance.” I read about how NOAA has been using a hexacopter (the more versatile cousin of the ubiquitous quadcopter) to study Gray Whales. They are assessing how environmental conditions in the Arctic affect the mother’s amount of blubber and whether they will survive the annual migration, during which the mother rarely eats. The article provides more detail and links to other NOAA articles, so I encourage you to read it.